Transformers KRE-O ~ Construction Sets For School Ager's or Young At Heart Adults. 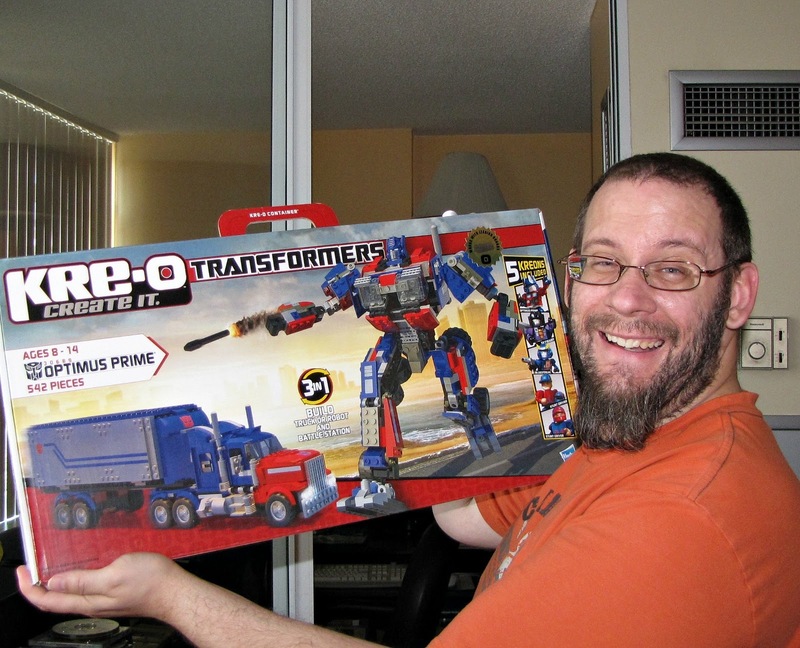 A while back I posted a Wordless Wednesday showing my husband's joyful expression at MY winning six Transformer KRE-O sets. 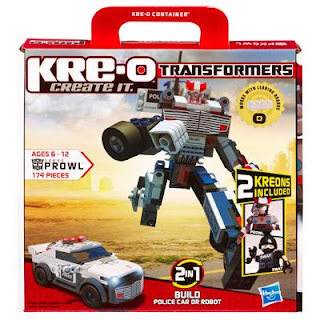 I have donated two of the KRE-O sets to my local Toy Mountain drop off. The others will wait until Princess Destructo is old enough to enjoy them too. With hubby's permission (or rather when he wasn't looking) I opened a small set and tried to put it together. Lacking the dexterity of the average 8 year old boy I didn't have an easy time of it and am too embarrassed to actually show you the project I attempted. I knew better than to launch into the large Optimus Prime set that has 500+ pieces. So chose the Prowl set which specified 174 pieces and a suggested age span of 6-12 years old. Whenever I need help or advice of any sort the first place I turn is the internet. It didn't fail me. 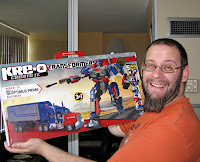 After google-ing "KRE-O Transformers" I got links for digital builds posted on Youtube. Here are the videos for Optimus Prime, my hubby's favourite & Prowl, the set I attempted. The build was a little easier after watching the videos, but I think I will leave these neat construction sets to the school-aged children and young-at-heart adults who have the patience to figure it all out! Just for kicks I thought I'd share "A Gift For Megatron" in keeping with my 30 Days of Christmas theme. KRE-O also has its own Youtube channel. *This is not a sponsored post. **Prowl construction set image is borrowed from hasbro.com.